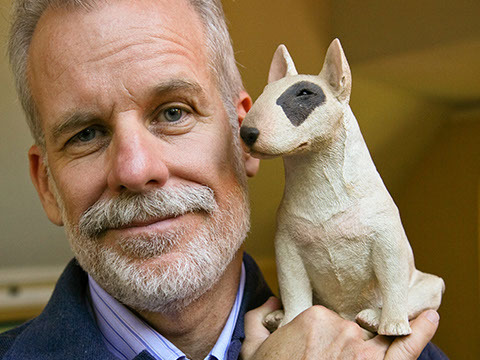 ANN ARBOR, Mich. (Nov. 29, 2017) – Children’s author and illustrator, and Caldecott Medal honoree, Chris Van Allsburg will sign copies of his award-winning 1981 book, Jumanji, from 6:30 to 8:30 p.m. on Monday, Dec. 18 at Nicola’s Books, located in the Westgate Shopping Center at 2513 Jackson Ave. in Ann Arbor. To help expedite the signing for guests, the event will be ticketed and open to the first 250 people to pre-purchase a copy of Jumanji, online at www.nicolasbooks.com. In addition to signing the new copies of Jumanji, Van Allsburg will also sign an additional two volumes of any of his works, either pre-owned or purchased on-site at the signing. Photographs will be allowed. The appearance of the renowned author of Jumanji , The Polar Express and Zathura, precedes the Ann Arbor premiere of the new Sony movie Jumanji: Welcome to the Jungle, slated for Tuesday evening, Dec. 19 at the Michigan Theater. With a simultaneous showing at the Celebration! Cinema North in Grand Rapids, the statewide movie premiere is a fundraiser for Jo Elyn Nyman Anchors Programs for Children at Hospice of Michigan and Arbor Hospice. VIP and general admission tickets for the Ann Arbor premiere can be purchased online at www.Jumanji4Anchors.org. For more information about the book signing and to pre-purchase Jumanji, visit www.nicolasbooks.com. For more about the statewide Jumanji premiere, visit www.Jumanji4Anchors.org. Chris Van Allsburg is the winner of two Caldecott Medals, for Jumanji and The Polar Express, as well as the recipient of a Caldecott Honor Book for The Garden of Abdul Gasazi. The author and illustrator of numerous picture books for children, he has also been awarded the Regina Medal for lifetime achievement in children’s literature. In 1982, Jumanji won the National Book Award and in 1996, it was made into a popular feature film. Chris Van Allsburg was formerly an instructor at the Rhode Island School of Design. He lives in Rhode Island with his wife and two children. Nicola’s Books is part of Schuler Books & Music, a chain of three bookstores across Michigan formerly known as Schuler Books. Schuler’s first store was founded in Grand Rapids in 1982 by Bill and Cecile Fehsenfeld. The current flagship store at, 2660 28th Street SE in Grand Rapids, includes The Chapbook Cafe and expanded offerings of music and other items. The other stores are located at the Meridian Mall in Okemos and the Eastwood Towne Center in Lansing. In the summer of 2014, Schuler’s bought Nicola’s – an independent bookstore at 2513 Jackson Ave. in Ann Arbor – which it continues to operate by its original name.